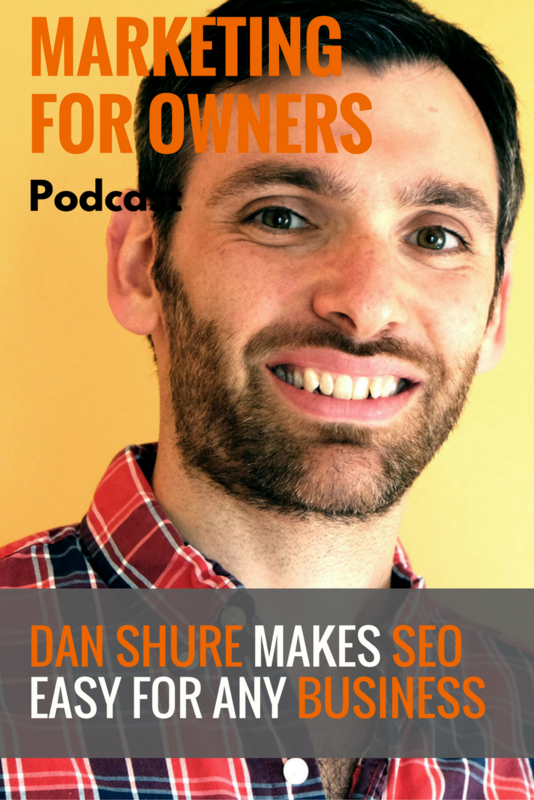 Although Dan Shure is an SEO expert these days, his life used to revolve solely around music. And in fact, one of his earliest memories is the story of how he found music as a young child. He went to music school, gigged and gave piano lessons. 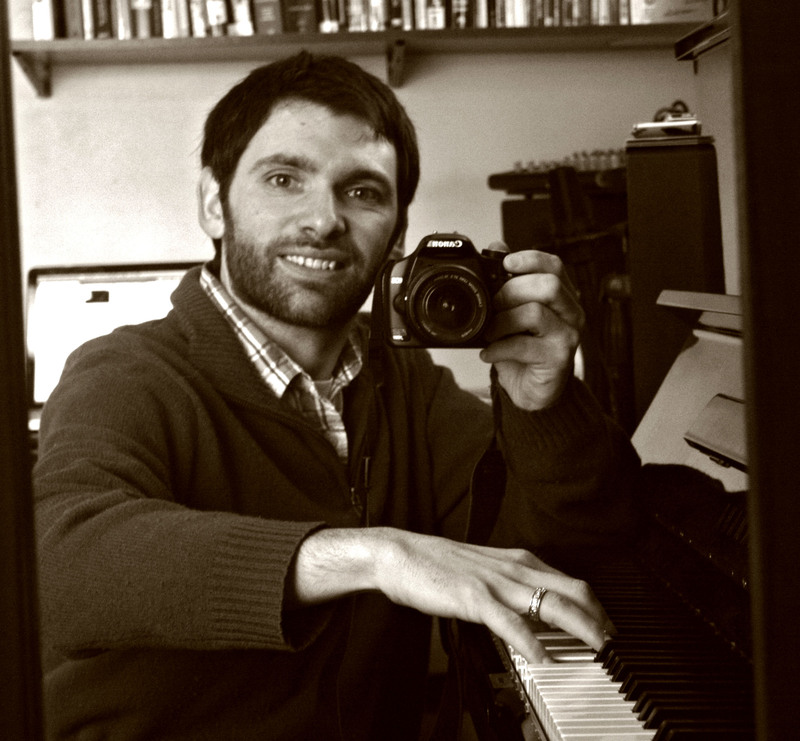 But after 10 years of teaching music, and having just got married, he was ready for the next part of his life. He wanted something new and exciting. It was in 2009, whilst listening to the SEO 101 podcast, which he realized he could make a living doing what he’d already been doing. He had previously made websites for his own groups and piano lessons as well as his Dad’s business. It wasn’t long before he established Evolving SEO and it all grew from there as he took a different approach from everyone else. Dan looks at the big picture of how SEO helps business. As a musician, Dan wasn’t the most disciplined. In fact, the night before his senior recital, he was still learning the piece of music where others had been practicing it for weeks. But Dan sees many similarities between his music and SEO work. Just like playing his manual synthesizer, you have to think about every element, all at once. That way, you bring it all together effectively and produce something without any off notes. So his experience with sound engineering has come in useful when conducting website audits. Dan learned what he knows from the likes of SEO 101, SEO Book, and The Truth About Search Engine Optimisation. And then he put his new knowledge into practice to discover for himself what worked and what didn’t. Since those days, a lot has changed and many of the tactics which worked then will no longer work today. There are always new opportunities ready to be taken. But once everyone else starts to use them, they become less effective. Despite that, there will always be some core basics which never change. Optimizing websites for crawl efficiency and bringing technical elements up to standard will always work. And once you have those elements working for you, you can then look towards the new opportunities. Dan may have been entering an industry already full of experts, but he did so at a time when black hat SEO was falling off and once-great reputations were in ruins. And because he was doing it the ‘right’ way, and went in with a big-picture mindset, he attracted clients. It also helped that he was able to relate to the businesses he worked with at the start. That way, he was able to build up a reputation. It is also the understanding that businesses and websites are all different. Tactics which work in one industry or business may not work in another. Due to the big picture being so important in the success of SEO, Dan prefers a different term to describe it. Rather than thinking about it like a search engine, he thinks of it as more of an ecosystem. The internet is like a digital blueprint of reality, and people put stuff on it. A database (search engine) then makes it findable. And with this mindset, you can see search engine optimization working from a different perspective. When you consider the real-world elements as well, it’s far easier to appreciate that businesses are different and therefore require different tactics. SEO is one of those things which happen, whether you like it or not, so you may as well make it actually work in your favor. With the personal assistant Google Home coming soon, SEO may well become an even more important tool at the disposal of business. And searches are now developing a more conversational approach. Everyone should think of SEO as a tool which can help businesses to achieve their goals. You may want to use it as leverage, or simply to market your products and services. Whatever the reason, it’s important to know what the purpose is and to then remember that. It’s something Dan regularly has to remind his customers of. And that’s the case whether it’s a long-term goal or one which you aim to change quarterly. It’s important to remain focused on that, whatever tactics you’re using. For example, if you’re getting links out into the World Wide Web, you need to know what you want from the people who click the link and come to you. If that’s to get them onto your mailing list, then make sure you’re giving them the opportunity to do just that. Of course, you need to also define what success is in order to actually know if you’ve achieved your goals and that your efforts were worthwhile. SEO can work for anyone, regardless of size. You just need to understand what you want and use the right tactics for making it possible. And for a smaller business, you need to start where you can succeed. It’s great to have ambitious targets and big dreams, but that isn’t going to just happen overnight. Instead, you need to have smaller goals which one day may lead to what you deem as ultimate success. When it comes to ranking on Google then, it far less competitive with a long-tail keyword, which is perhaps six words long. This could be a question which people are searching. So you need to ask yourself where you can, reasonably, actually rank for something. These are likely to exist for every business. And although they may not bring in traffic you’ll be able to generate leads from, it will get people coming. But from there, you’re able to actually start helping people and get things into motion. Dan recommends using a tool like SEMrush. With it, you can search a competitor’s website, or more helpfully a content-rich website in your industry. You’ll then see all the content they have a ranking for on Google, and for what keywords and the percentage of traffic it earns them. And you can probably bet that these websites will have old content which is still ranking even though it hasn’t been updated. This presents to you an opportunity. You can then create a piece of content for that keyword, and make it bigger, better and newer. Once posted, Google is likely to then reward you because you’re the newer content, and therefore more likely to be accurate and relevant. Dan’s articles are long and info-dense. Although he doesn’t write these often, they are the result of many sleepless nights. An online personality test he took identified him as complex, meaning that when he approaches a subject, he sees every element. It’s something which is prominent in his work as well as his posts. Although he finds it practically impossible to write short content, that doesn’t mean that he can just dump a load of information down and expect people to just pick it up. He has to ensure his posts are actually readable. He is constantly analyzing whether it will hold someone’s attention, and questions why they should care. In fact, he identifies it as the number one question any writer should ask themselves. So he edits. And each of his posts is likely to go through at least seven to twelve edits. It all starts with an initial idea which he then has to polish until it’s clear to see. And to learn more about this, Dan suggests listening to the Alex Bloomberg interview on The Tim Ferriss Show podcast. Dan does this as he wants to always add value to his audience. When writing, he imagines the person he really wants to read it, and the reaction he wants from them. He then makes sure he writes the article so it’s capable of doing just that. This is because you only get one chance. So you need every article to meet that high standard, as otherwise, you may well miss the opportunity. You can’t always control which piece of content someone will find first, and they’re unlikely to stick around to read more if they don’t like that initial article or podcast. Storytelling is becoming the Holy Grail for content. It’s something which people can really invest in, and a good one has the ability to hold someone’s attention. There’s a reason why people stick around for Brian Dean’s mega posts. And there’s a reason why viewers will never think of leaving one of Casey Neistat’s videos before it’s over. The person reading your content is the most important factor in making it a success. So make sure you write content for them, and not for the benefit of SEO. Dan lives and breathes SEO, and yet he doesn’t just produce content for the sake of content. Just like playing jazz, he likes to let things come out naturally. And he knows what he’s doing. Feel free to also reach out to Dan on Twitter or via email, where he’s happy to have a chat and help you with burning SEO questions you might have. Also, check out his Instagram account to have a look at some of his amazing photography. He really does see the world from an entirely different perspective to most people.